Genuine Bosch dishwasher hinge springs and cable kit. Genuine spring and rope door hinge repair set to fit select Bosch dishwashers. Genuine spring and rope door hinge repair set to fit select Neff dishwashers. Genuine spring and rope door hinge repair set to fit select Siemens dishwashers. Genuine replacement Bosch dishwasher door hinge rope. 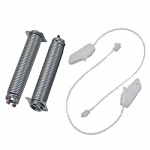 Compatible replacement door hinge rope and spring to fit Bosch dishwasher models listed. 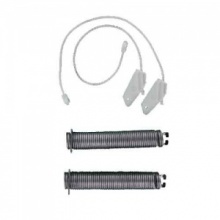 Compatible replacement door hinge rope and spring to fit Neff dishwasher models listed. 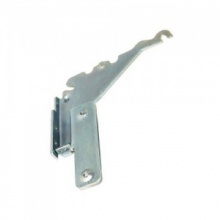 Genuine replacement right hand door hinge for a range of Beko dishwashers. Genuine replacement right hand door hinge for a range of Belling dishwashers. Genuine replacement right hand door hinge for Diplomat dishwasher. Genuine replacement right hand door hinge for a range of Flavel dishwashers. Genuine replacement right hand door hinge for a range of Lamona dishwashers. Genuine replacement right hand door hinge for Leisure dishwasher. 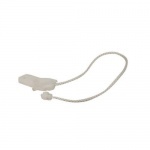 Genuine replacement door hinge cable rope (Pack of 2) for a range of Beko dishwashers. Genuine replacement door hinge cable rope (Pack of 2 ) for a range of Flavel dishwashers. Genuine replacement door hinge cable rope (pack of 2) for a range of Lamona dishwashers. 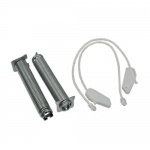 Genuine pack of two Beko door hinge ropes or cables to fit Beko, Flavel and Diplomat dishwasher. Genuine pack of two door hinge ropes or cables to fit Belling dishwasher. Genuine pack of two Lamona door hinge ropes or cables.